City of almost 5,5 billion people, spread over 134 square miles, capital of Georgia and established in 1837, Atlanta is in top 10 largest metropolitan areas in the US. 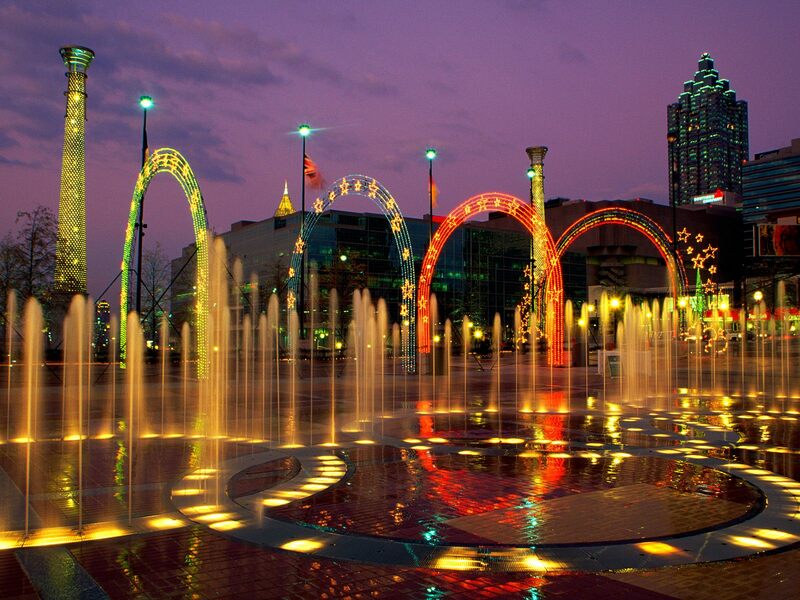 With such a dense population to entertain, there are a lot of fun things to do in Atlanta. From strolling in the parks to planning outdoor activities suitable both for kids and teenagers, Atlanta has a great variety of entertainment activities to offer. Traveling and seeing new things doesn’t have to cost an arm and a leg. If you’re looking for a few budget friendly activities, you can get some inspiration from these suggestions. All of them are family-friendly and are either free or inexpensive. The BronzeLens Film Festival of Atlanta’s objective is to draw attention to the city as a center for film for people of color and support filmmakers who are just starting up. Held at the Hyatt Regency Atlanta Hotel each fall, the festival offers a wide range of ticket types, including free entrance to all shorts and the Family Film Festival. If you’re not quick or lucky enough to get your hands on the limited tickets, you can opt for some of the inexpensive tickets that will give you access to various sections of the film festival. The Chastain Park Arts Festival takes place in the homonymous venue and hosts various events held by almost two hundred artists. Completely free to attend, this Festival comprises crafts and fine arts, a children’s playing area, live music and gourmet food. Create ATL is the perfect weekend activity for children. The free activities are held every Saturday and include acting classes, art-making and musical story times. The Folk Art Garden is perfect not only for kids who are eager to look at miniature buildings and castles made out of glass and pebbles but also for adults who have a passion for miniatures. You don’t have to be a kid to be amazed by a four-foot structure made completely out of pebbles and shells. This huge city isn’t only bustling with life during daytime. It’s got plenty to offer for those looking for a nightly attraction. And there’s more to choose from than the classic restaurants, clubs, and bars. Most of the main tourist attractions stay open until late at night, so make sure you tick some of them before leaving the city. 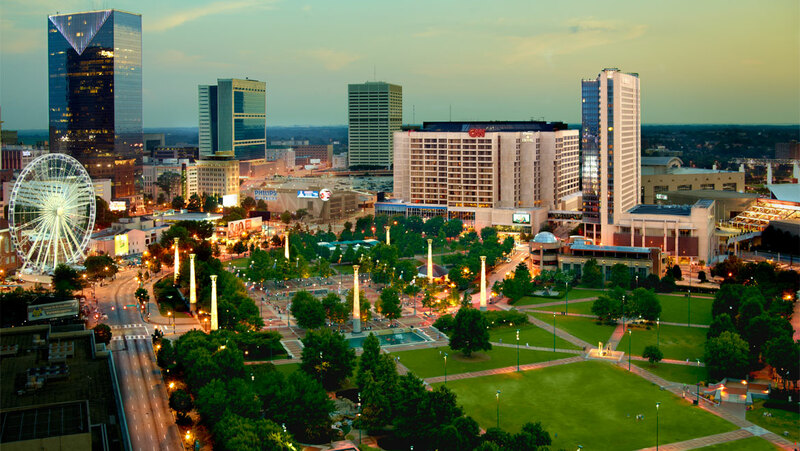 SkyView Atlanta is near the Centennial Olympic Park, right in downtown. You can ride the 20 story high Ferris wheel both during the day and the night, but the latter is probably the wisest choice. An evening ride offers a gorgeous view over the whole lit up city. The Fountain of Rings is more than just a show of water and light. Visitors are allowed to play in the fountain, to the delight of the kids. On nights that are warm enough, both the park and the fountain are teeming with people who are having a good time completely free of charge. Sleepover with the sharks sounds more like a horror movie title, but it’s actually a real thing in Atlanta. Turning 10 this year, the Georgia Aquarium is one of the most visited places in Atlanta for a reason. During daytime, you can see a wide variety of whales, sharks and other fish, and at night you can accompany them to bed. This means visitors are allowed to bed down within the glass tunnel of the aquarium and watch as gigantic whales pass right next to them while they are left wondering if they are dreaming or if that is real life. Although it doesn’t hold the title of the most romantic city in the world, Atlanta doesn’t lack fun activities for couples for are visiting for a few days or a week. If you want to start planning your trip in Atlanta with your significant other, you can add these to your checklist. Sharp Mountain Vineyards offers a stunning and romantic scenery if you don’t mind driving 45 minutes from Atlanta to the North Georgia mountains. The perfect place for a picnic, the Sharp Mountain Vineyards offers four wines for tasting for $5, including entrance to the beautiful pavilions. Don’t forget to pack some olives and cheeses in your picnic basket if you really want to impress your date. The Fernbank Science Center offers free admission on Friday nights. If you want to do some star gazing with your partner on a romantic date, this is the place for you. You can also check out the Planetarium if you’d like to reenact the famous scene between Friends characters Rachel and Ross. Movies in Central Park will take you back in time with their classic romantic movies and won’t burn a whole in your pocket. On warm nights, you can stretch out on a blanket in the park and enjoy a light comedy next to your significant other. Castleberry Hill Art Stroll opens its doors every second Friday of the month and puts on display cool artsy items. The free admission is a bonus and draws in many tourists that are hungry to see some art galleries and keep up with the latest artists making a name for themselves. There is no shortage of fun things to do in Atlanta. Whether you’re only staying for a couple of days or two weeks, it’s not difficult to fill up your agenda with interesting things to experience. Next time you’re in town, make sure to visit Southwest Atlanta to get a genuine taste of the part of the city that is not swamped with tourists. If football is your cup of tea, you won’t want to miss seeing the College Football Hall of Fame. Artsy tourists will want to make a note to pass by The Fox Theater and see a renowned dancing troupe live on stage. For a livelier activity, pop on your roller skaters and stop by the Cascade Fun Center to show off your moves on the shiny ring where ATL was shot.